The Coal Mine Worker’s Health Scheme has been under fire after an increase in the reported cases of possible “Black Lung” in coal mine workers over the past year. Stakeholders have questioned the effectiveness of the scheme in detecting Coal Worker’s Pneumoconiosis (CWP), also known as Black Lung. Subsequent investigations have called for better regulation of the Coal Mine Worker’s Health Assessment and better support for coal mine workers. Working in an environment with high exposure to dust from coal, graphite or carbon over a long period of time puts an individual at risk of Coal workers’ pneumoconiosis, also known as black lung disease. Exposure to high concentrations of coal dust over several years allows it to collect in the alveoli (air sacs) of the lungs, causing scarring and a loss of elasticity. The symptoms of black lung disease, particularly in its early stages are similar to those of other lung diseases, making it difficult to detect. The disease is initially detected by a chest x-ray and a spirometry test, however CT scans and/or lung biopsies are usually required to confirm the diagnosis. The scarring of the lungs caused by black lung disease is irreversible. If diagnosed, the only way of preventing the progression of the disease is to avoid and/or limit further exposure to high concentrations of coal dust. Their respiratory health must also be monitored on an ongoing basis by a specialist Physician. Simple (early stage) coal workers’ pneumoconiosis Chest x-rays reveal a small amount of round, thickened scar tissue known as nodules. At this stage it may be difficult to differentiate these nodules from other lung diseases. Complicated coal workers’ pneumoconiosis or progressive massive fibrosis (PMF) May occur in workers who are exposed to high concentrations of coal dust over a long period of time. Chest x-rays reveal a mass of dense fibrosis (scar tissue) in the lungs. Smoking and other lung conditions can further the disease. The condition can be fatal. So what is being done to protect coal mine workers from Black Lung Disease? Place the issue on the agenda for the National Council Of Mining Ministers. A boosted x-ray screening system with international checks was put in place ‘as part of the new regime to protect the health of the state’s underground coal miners’. These changes aim to prevent new cases of Black Lung disease, identify the disease in its early stages and provide added safety for workers with the disease. Second checks will be established in Queensland once local radiologists are accredited in the ILO system. A parliamentary committee was appointed to conduct an inquiry into how black lung re-emerged and how to prevent it. Other matters the committee determines are relevant. A coal mine’s safety and health management system must provide ways of ensuring that a mine worker’s exposure to respirable dust at the mine is kept to an acceptable level. This ensures that workers do not breathe dust with concentrations exceeding, 3mg/m3 for coal dust and 0.1mg/m3 for free silica (calculated over an 8-hour period according to AS2985). However, despite improvements to the quality of x-ray services, a report conducted by Monash University has found that the quality of spirometry testing for lung disease was quite poor. 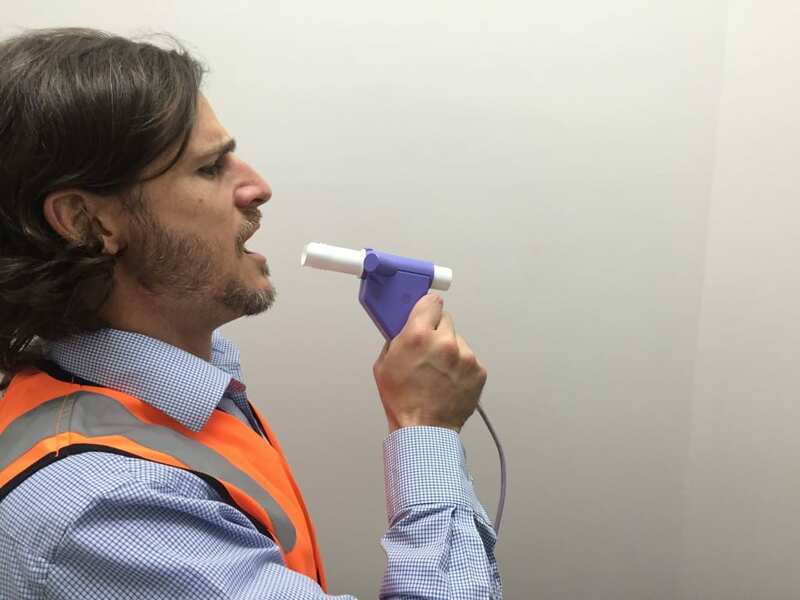 Spirometry training for testers was limited. According to the Monash, poor spirometry training was a main contributor for inadequate quality of testing and poor knowledge of testing equipment. Of the respondents, one quarter did not know whether their spirometer had automated quality control, only 10% knew the number of maneuvers that are stored for each person tested and almost half did not know the reference values used by their equipment. It is evident through the survey results that quality control and assurance of spirometry testing must be improved. Results were received from the Department of Natural Resources and Mines (DNRM) for workers from a large number of mines. Overall, there were 256 spirometry results evaluated, with a further four which were illegible. Of these results, 102 were poorly executed and did not allow meaningful interpretation (poor technical quality). Less than 50% of the spirometry results evaluated for the purpose of the review had been accurately interpreted and reported by nominated medical advisors (NMAs). 130 of these results were ‘essentially unknown’ for different reasons such as illegible photocopying, poor quality and ‘possible restriction’. …just in time for the remaining coal mine workers.